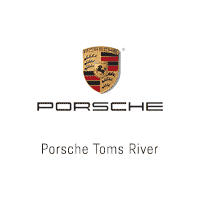 Ray Catena Porsche Toms River has been honored with multiple Women’s Choice Awards, in multiple categories across the board. Women’s Choice Award has unveiled four new Automotive Awards: Safety, Reliability, Family-friendly, and Eco-friendly, in which Porsche has been mentioned. The Porsche 718 Boxster has been awarded the Best of Reliability and Best of Eco-Friendly in the Convertble category. The Porsche Cayenne has been Awarded in the same two categories for SUV. No one wants the hassle of an unreliable car, and women are no exception. An unnecessary or unplanned trip to the dealer or repair shop is an inconvenience everyone wants to avoid. To rate cars and trucks for their reliability we started with the reliability scores provided by Consumer Reports. Where they had ratings available we calculated the vehicle’s standard deviation from the average rating. We also looked at the vehicle’s standard warranty. The average is about 4 years and 50,000 miles, so we gave points for those that had longer warranties and deducted for those with shorter ones. We also looked at reported recalls and made additional deductions for those issue, before we made adjustment for the relative base price. A less costly vehicle is at least a small comfort when something goes wrong. Women indicated that reducing foreign dependence on oil would be the number one reason they would purchase a “green” car. Reducing the environmental impact of man-made activities and personal gas expenditures came in a close second and third. The eco-friendly award was determined by creating a composite score based on these considerations and weighed according to results of this survey. Fuel Economy: Score determined by standardizing the combined MPG and EPA’s fuel economy rating. Eco-friendly features: Cars were awarded additional points if they have a start/stop technology feature. SmartWay certification: The EPA’s SmartWay program certifies the 20% lowest-emitting passenger vehicles each model year, based on greenhouse gas and smog ratings. We gave a vehicle additional points for qualifying for this certification. Disclaimer: All information belongs to WomensChoiceAward.com and is not representative of Ray Catena Motor Car.